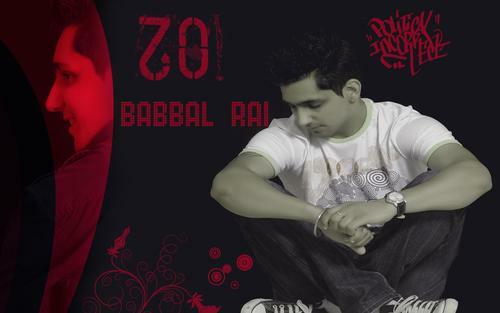 Meet a young singer and actor from Punjab Babbal Rai. Life Is A Continuous Challenge. A Constant Struggle From Up To Down. We Are Not Rich By What's In Our Pockets, But By What's In Our Hearts." First of all i would like to thank the almighty god for sending me on this earth and then my parents late Sardar Manjit Singh Rai and Sardarni Nirmal Kaur because of whom i survive in this world, my younger brother Honey Rai who is so close to my heart and my friend Sonu who has showered his brotherly love upon me always. Music and Cricket had been my passion ever since i knew what passion was. There are life's ups and downs. And i do believe that they are a part of everyone's life.I did my schooling from National Public School Samrala and completed my graduation from DAV Chandigarh. I was never a book worm kinda student and always looked upto cricket as my passion and my coach, Mr. Yograj Singh as my ideal.But destiny didn't want me to continue what i was happy doing. However, circumstances changed and i was left with an option to come abroad and take other challenges in life. Life just took a beautiful turn when me and my close friend Harpreet Grewal just decided to put our video on orkut, a social networking website. Words are foes of reality and i feel i don't write but it just slips out from my mind and comes out to everybody. And through this small world of mine i hope i can at least grab blessings of all elderly people and love from the younger ones. Thanks people for being an inspiration to write more and sing and have fun.!!! !